"I'm floating on the waves of love"
2. "I'm floating on the waves of love"
According to the author, the Belarusian composer Konstantin Yaskov: "The main artistic idea of ​​ "Hymn to Aphrodite" is based on understanding love not as a feeling, but as a divine power that, like the all-pervading "music of the spheres", fills the whole universe. Similar ideas go back to the doctrines of Pythagoras, Plato and Aristotle. 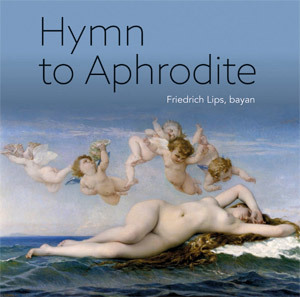 The ideas of ancient Greek philosophers directly influenced the quality of musical material and its organization - the score of the "Hymn to Aphrodite" consists of extremely simple intonation-rhythmic lines, the development and interaction of which is subordinate to number, mathematics and geometry. In general, I set myself the task of writing a work whose character should be close to solemn sacral hymns, whose music sublime, but ascetic and emotionally restrained at the same time." 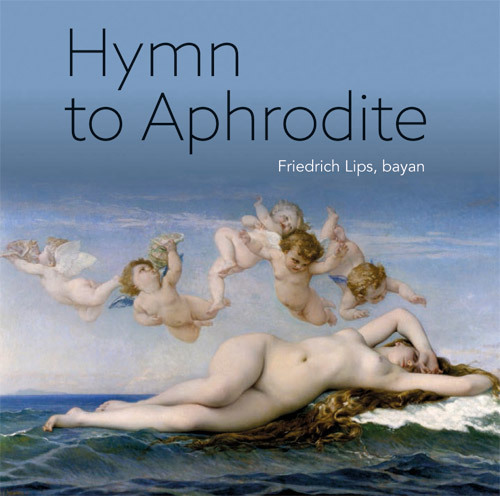 "Hymn to Aphrodite" is a solemn sublime song that praises the goddess of beauty, fertility, eternal youth and love - Aphrodite. 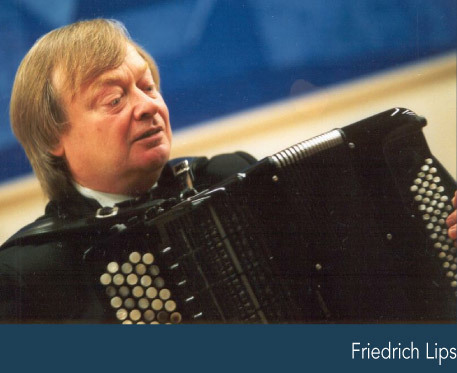 Dedicated to the composer's wife, the oeuvre was written specially for Friedrich Lips, commissioned by the artistic director of the State Chamber Orchestra of the Republic of Belarus, Evgeny Bushkov. In the bayan part, the composer uses the technique of jubilus (Jubilatio – Latin) - meliomatic chanting on the basis of the final syllable of the word "hallelujah" of religiously enthusiastic character, which gives the music an atmosphere of elation and delight. An unusual cycle of Mikhail Bronner's eight sonnets sets us up in a lyrical manner, since the word "sonnet" is associated with poetry. Here is how the author briefly explains his composition: “The movement of life appears in a cycle of eight pieces: lyric ("I love", "Cupid", "First date", "Spring") and tragic ("Declaration of love", "Time", "I’m floating on the waves of love"). The last piece - "Oh, music" - is the realization of the eternity of being. Most of the names, including the very name of the cycle, are taken from sonnets of William Shakespeare and Pierre de Ronsard, French poet of the 16th century."